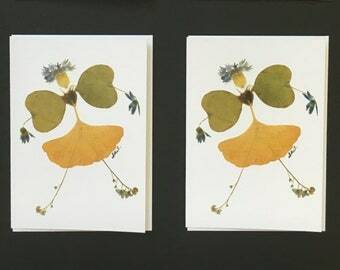 Inspired from Susan's Garden, this enchanting "Intuition" (Gingko Girl!) 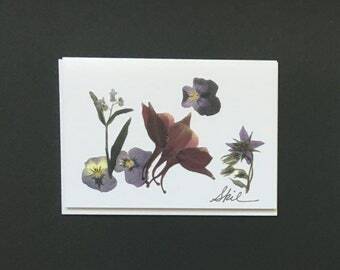 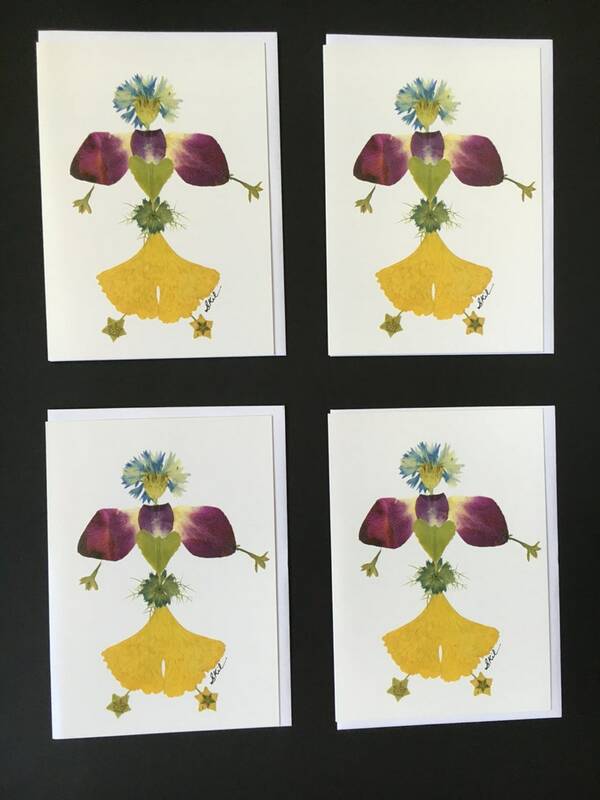 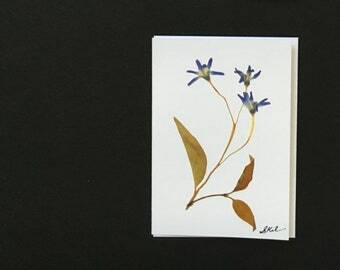 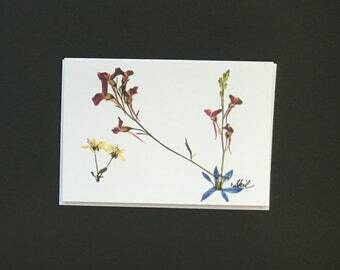 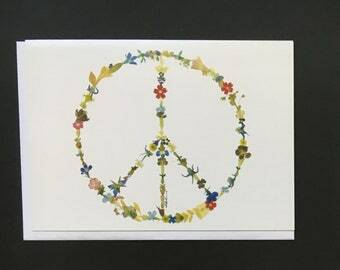 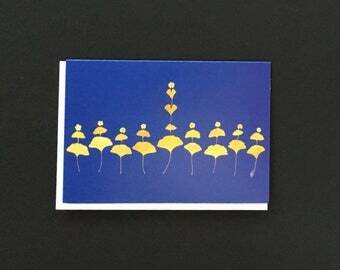 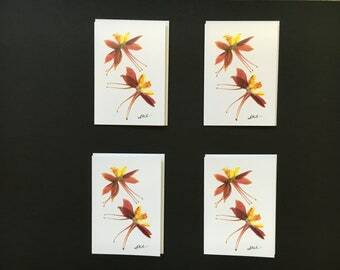 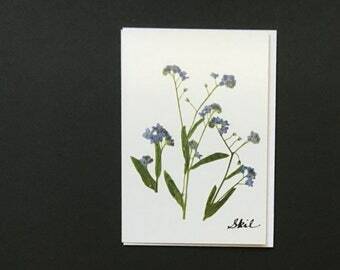 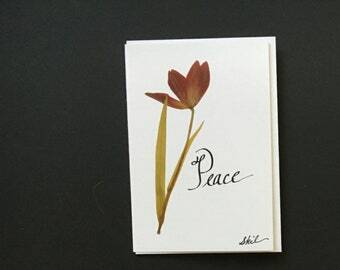 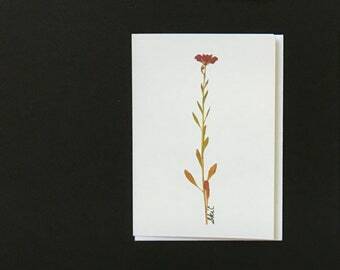 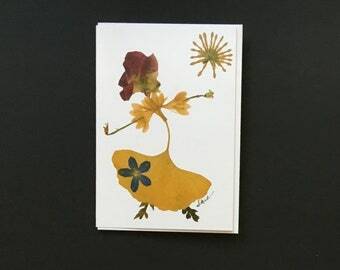 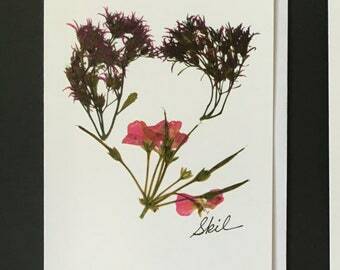 is a blank note card PRINT of original pressed flower art. 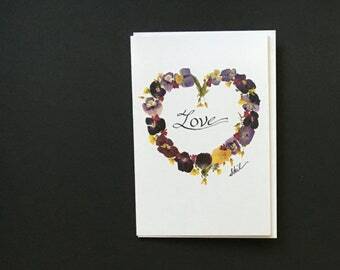 It can be used for birthdays, anniversaries, invitations or as a gift. 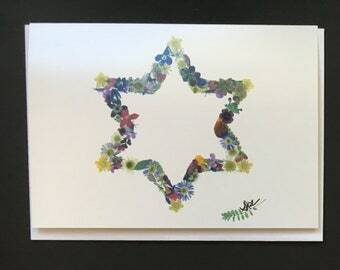 It is even suitable for framing! 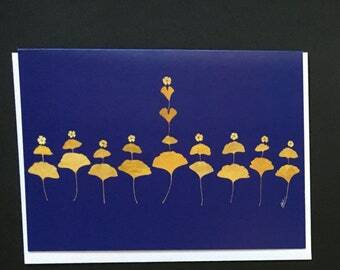 each one sized 5 inches by 7 inches, including a white envelope for each.